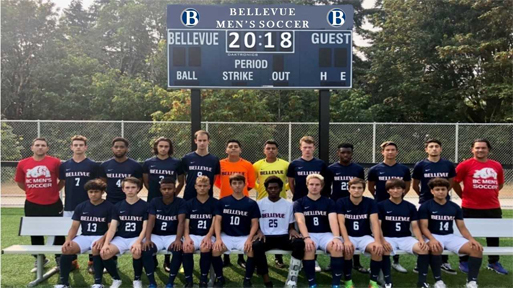 The Bellevue College soccer season has drawn to a close, and with it the men’s soccer season can finally be put to rest. Ultimately the Bulldogs came away with zero wins in fifteen games with only a tie to show for their efforts. Their record of 0-14-1 placed them last in the West Region as well as the only non-winning team in the Northwest Athletic Conference, or NWAC. Not entirely at fault, the West Region held two of the top five teams in the conference, with third place Pierce also retaining a playoff spot with a 56 win percentage. In fact, a coaches poll on Oct. 30 rated Highline and Tacoma, the two teams leading the West Region, as the top two teams in the NWAC. Coach Eduardo Millan did not shy away from the lackluster season, nor did sophomore Kyle Han who was named to the All-Star Game. “Personally, we should have had more team bonding before the season started,” Han said, including that as a result the team didn’t entirely get along or trust each other. Han added that in order to win it’s important to trust your teammates. However, Han said that while the team performed better last season, the strength of this season lied in everyone on the team attending practice on a more consistent level, which did not hold true last season. Millan echoed the sentiment, stating that “every player showed up to every practice after losing the first five games, the first ten games, the first 14 games.” Millan believes that this positive will be something to build off of for next season. In a similar vein, the Bellevue College team was very young this year, with only four returning members from the previous season. Millan talked about how the game is very different to high school soccer, that even some of the rules are different. Coming into his first year at Bellevue College, as well as the first year for a vast majority of the team, Millan mentioned the experience everybody gained and how priceless it would be moving forward. It goes without saying that next year the Bulldogs hope to pull a better record and put up an overall better performance, and they should have the tools to do so. Bright spots in freshmen Rodrick Muya and Miles Miller were present as they led the team in goals with three and two respectively. Also despite not scoring as much, freshmen Alexis Cortes, Kaleta Muya, Sam Price and Miguel Salcedo put up high percentages when it came to shots on goal. This should serve as a foundation for improvement in the 2019 season. Kyle Han believes that a team should have a good amount of returning players to lead the team, which is something the Bulldogs will definitely have next year.